De Beers does not have a monopoly when it comes to diamond design. 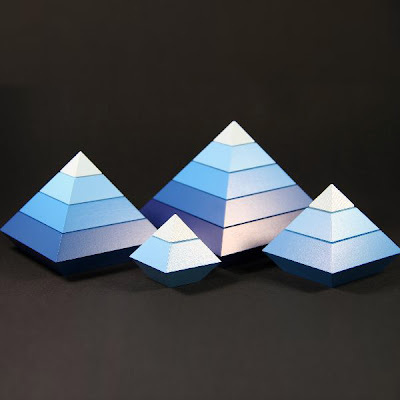 Diamant was designed by Swiss designer Peer Clahsen for Naef Toys in Switzerland. Naef Diamant is a beautiful sculptural wooden tinker toy. The world's most precious stone, the diamond, re-created as a multi-faceted wooden play sculpture. Diamant can be disassembled into fifteen pieces that fit perfectly together. The pieces can be re-combined to form ever new geometric variations and almost infinite constructions. Numerous variations can be created with the continuously interlocking elements. You are only limited by your own imagination. Create the most stunning sculptural works of art with Naef's diamond.